Rainbows are beautiful things, everybody loves them. They belong to everyone to appreciate. The birds are Turtle Doves now a rare bird because of trapping on the Isle of Malta and other places on their migratory routes. 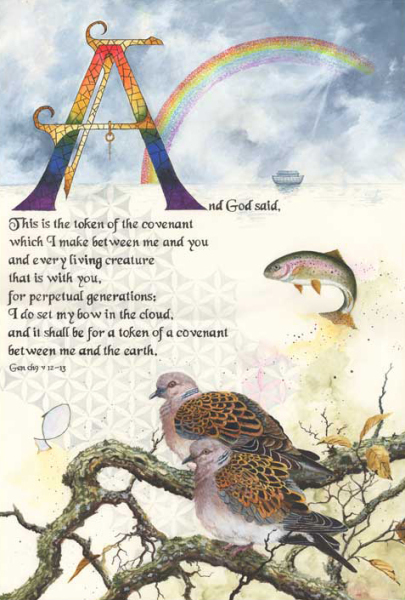 The leaping fish is a Rainbow Trout. God keeps his promises. In the re-generation when Nature is restored man will be ruled with a rod of iron, as the Bible puts it. He will not be allowed to pollute or destroy.